Looking for more? 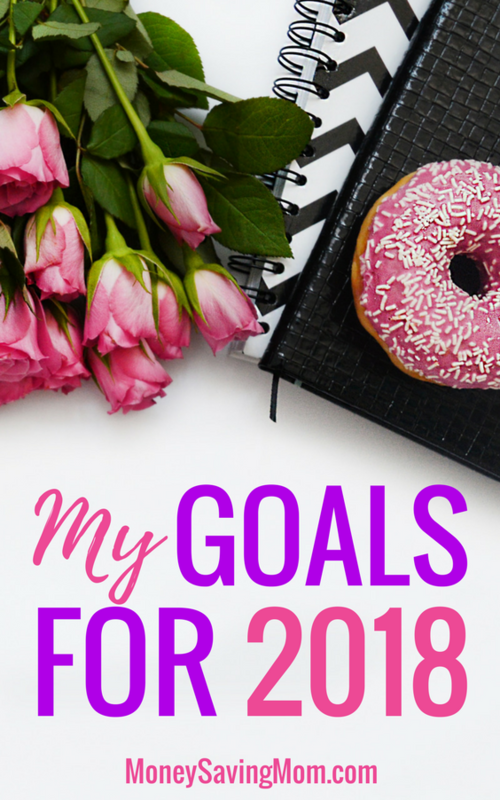 Read more posts about 2018 Goals. Congratulations, Crystal, on meeting so many great goals this year! I decided to take a different approach to my 2018 goals. Usually, I make a list of goals for the year, and by the middle of February I’ve given up on most of them. In the upcoming year, I’m planning to make goals for just one month at a time. We’ll see how this goes! I think that sounds like a FANTASTIC way to set goals! I think these are wonderful goals, and congratulations on your new home! I am curious – how much time do you think you need to read daily in order to read 100 books a year? I can read about 80 to 100 pages per hour and most books I read are 200 to 300 pages each, so if I read an average of 30 minutes per day and then an extra hour or two on the weekends, I can pretty easily average reading 2 books per week. Hi! Awesome goals! 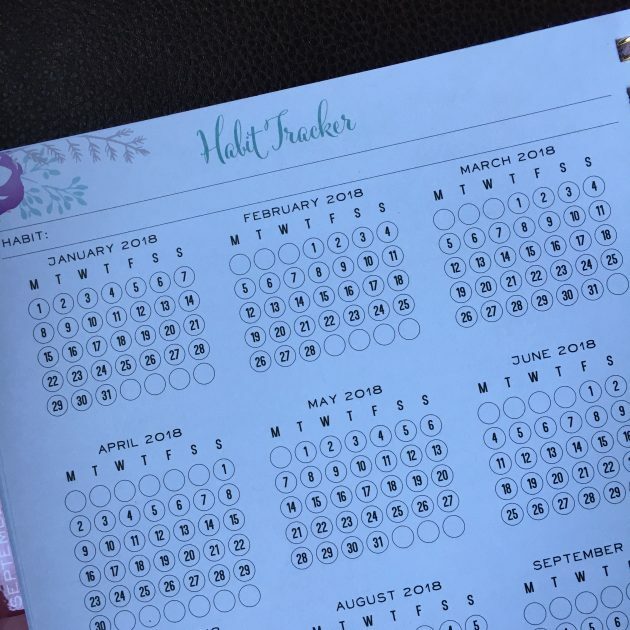 What kind of planner is in the picture? It looks like it would be very helpful to me, not to mention it’s cute! Reading your posts about setting goals always inspires me! I just looked up my 2017 goals and cringed. It’s safe to say this year was an epic fail on accomplishing goals. However, I am proud of a few things: my family took a long road trip (CA to TN) to visit colleges for our older son; I attended a Christian Writer’s conference and mapped out a course for my writing; my husband and I had a week-long getaway in New England; and I finished a book I’ve been working on for almost two years. So I guess it wasn’t a total fail! I’ve not written out my 2018 goals yet, but this time I’ll be more realistic! For sure, I plan to publish three books (one new and two revised); attend the Writer’s Conference for the second year and pitch a manuscript to an agent; teach our boys life skills as they are 1-2 years away from college; and take a long vacation (Australia) as a family since this could be the last summer we’re able to do this. Books – I’ll say 50, since I’ll be busy writing my own! I read about 75 this year. It sounds like it was a GREAT year! Way to go! And so fun about the vacation to Australia!! Congrats! You did awesome on your 2017 goals and congrats especially on the new house! Woohoo! Your 2018 goals sound great, too. My biggest goal accomplished for 2017 was getting my counseling license reinstated (after a long “break” to start a family/SAH) and starting to serve PT at a place I love. 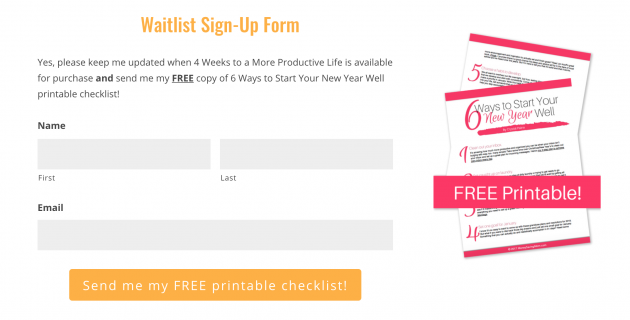 •	Increase my annual income by 250% (not saying much ;)). •	Get body fat down to 25% or below and maintain. •	Do my last few KonMari projects. •	Paint at least one room in our house. •	Set a new 5K PR (i.e. below 29:20). •	Read at least 40 books. •	Be intentional about what relationships I invest in. •	Be involved in a community and/or accountability group each semester. •	Unplug more often. Manage energy and adrenaline well. Do things that are life-giving. •	Spend at least 5 minutes in prayer and Bible reading before getting out of bed. •	Spend additional quality time with God. •	Find a way to bless and encourage my husband and each of my kids. •	Do strength training at least twice. •	Exercise at least 10 minutes a day 5 days a week. •	Have an in-home or otherwise date with my husband. •	Go to bed by 10:30 at least 4 nights a week (11 in summer). •	Play the guitar at least once. •	Update our budget spreadsheet at least once. •	Memorize one Bible verse. •	Have at least one out-of-the-house date with my husband. •	Have at least a mini-date with one child. •	Have at least two get-togethers with a friend. •	Stick to the budget for the month! These look like great goals! And I love how actionable so many of them are! Congratulations on the house selling and buying! I recommend the Wheel on the School if you haven’t read it yet. It’s a kids book, but a good one . Thanks so much for sharing! Your goals and progress are very inspiring. 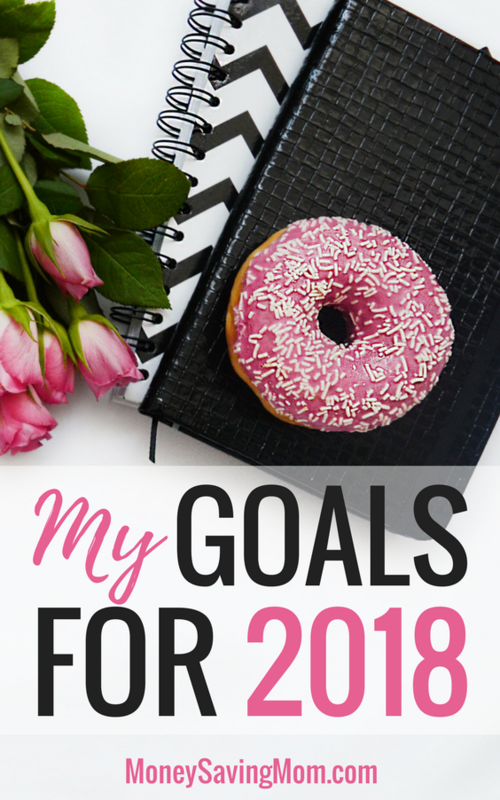 I am trying to be much more intentional with setting goals this year. ..and hopefully sticking to them! P.S. Thanks so much for sharing my Bible reading plan and accountability group! I am so excited. You’re so welcome for sharing your Bible reading plan! Crystal, congratulations on achieving your goals for last year. I admire that so much! I have enjoyed following your blog and the inspiration you offer. Your plans to go to South Africa are particularly close to my heart as my oldest son is heading there for 6 weeks soon and also you visited my friend Jonna when your were there. I was able to see her this summer for the first time in many years when she was in the states. Last year my word was discipline and things were going well until my husband and I separated in August and now I find myself acting as single mom to 4 kids. I am so thankful for God’s provision and faithfulness during this time. And though things are different and more stressful, I would still like set goals for the coming year. I was wondering if you had any advice or suggestions for me as I begin 2018? Thank you and blessings in 2018! Thank you Mel! Praying your 2018 is full of blessings! My advice would be to focus on simple, shorter term goals. Right now, there’s probably a lot on your plate and you are probably feeling not only the physical strain but also the emotional strain. So, think about what would help give you life and hope and plan a few simple goals accordingly. Maybe that’s getting up every morning and turning on worship music and doing a quick 10-minute workout. Maybe that’s prioritizing going to counseling or therapy. Maybe that’s doing something fun with your kids every week. Just think about what would feed your soul right now and set some little goals every week for that. I’d also focus on setting goals only on a weekly or monthly basis instead of thinking much further beyond that. One of my really good friends who recently went through a divorce said that you just have to focus on getting through the next day. If that’s where you’re at, please know that that is entirely okay. Give yourself a lot of grace. Accept all the help that is offered. And soak up the truth of God’s Word to give you strength to do the next thing. Crystal, thank you for these insights. They give me a great starting place for setting goals and priorities. As difficult as this time is…there is still so much hope! God is gently guiding and faithfully providing. I will ponder these things over the next few days then post my goals. I’m so grateful that it was helpful to you! I have a few goals. One is knit scarves for charity, and greatly reduce my yarn stash. One goal I accomplished this evening and that was to purge my book case and donate older books I own. Loose weight. Eat at home more, and try to save money. We are looking at some big expenses in the future so we need to ahve some $$$ on hand to cover some or all of those expenses! My main focus this year is contentment and rest! I’m reading through the Bible in one year too! I highly recommend the She Reads Truth app (free) and Bible plan (free) It breaks it all down into daily chunks you can check off at your own pacing. It also shows what percentage youve completed. I’m planning to use the plan at the back of the She Reads Truth Bible! Wow, congratulations. For me the hardest part is writing it down in the first place, because then I’m committed to it. Writing it down in public, ack, I’m not sure I’m ready for that yet! I have, however, joined a private forum and share my goals there, which is the first step I guess. Good luck for 2018, although I suspect hard work and determination have more to do with it than luck! Way to go on joining a private forum and sharing your goals there! Thanks for being such an inspiration, Crystal!! Yes to the learning to relax! I’m right there with you! Congratulations on your new house! I can’t wait to hear more details and see photos! Thank you so much! We’re thrilled! Crystal, you are such an inspiration!!! My word for this year was intentional. I was intentional with everything I did and everyone I spent time with. My word for 2018 is Focus. I will focus on what I need to do. My husband gave me a wonderful Christmas gift, a blog…I am so excited to go full force. Thanks to you and reading moneysaving mom everyday, you inspired me. I will focus on this next year and I know God will open doors not only for me but for others to save and give 🙂 I am happy for you and your family and cannot wait to see what God has in store for you. Aw, thank you so much for your kind encouragement! Your words blessed me! I love the idea of a set time offline – haven’t thought of doing that before, setting a particular time period. It’s made SUCH a difference for me! Congratulations on your 2017 goal accomplishments! My (draft) goals for 2018 will be to read through the entire Bible (by Sunday I will have read everything except Jeremiah…2018 I’m doing it all); to be offline while my children are awake; and to exercise two days per week. I like the idea of making it a goal to get away with the husband. I’m going to talk to mine about that idea. What great goals! And congratulations on almost reading through the Bible! Way to go on your goals, Crystal! 1. Read the Bible in a year. 2. Declutter my home one day at a time. 3. Get organized in my classroom as I plan moving classrooms as the school is being reconfigured. 4. Save money to pay cash for a new van. 5. Keep up with exercise so I can fit into my smaller size clothing. 6. Something related to marriage, but I can’t even get my husband to go out on a coffee date with me. More praying about this. 7. Add some nice details/finishings to our home. Best wishes to a successful 2018!!! What does your husband love to do? Is there any way that you can ask him if you can go do that with him — or even just sit with him on the couch while he watches something he loves? I’d see if you can figure out his love language and then love him in that way. The more it can be about pouring into him and loving him where he’s at instead of trying to get him to be who you think he should be/want him to be, the more it will likely speak love to him. Awesome goals! Thanks for sharing and encouraging:) I am right there with you on the self-help books. I have a friend that picks on me in good fun about reading my self-help books- So I will be joining you in that goal this year right after I finish…Present Over Perfect ( lovin’ it) and Grace Not Perfection and Grace for the Good Girl. I just wanted a little or maybe a lot of encouragement to be more relaxed this year, and not striving for perfection. I LOVED Present Over Perfect and wouldn’t really consider that a self-help book. I’m still going to be reading devotionals and inspiration books – just no books that are going to challenge me that I need to be more, do more, add more to my plate. Congratulations! You are my idol and inspiration! It is so hard to stay motivated and alot of time the sheer thought of everything is exhausting! I know you aren’t going to be too busy going to Africa, being a Mom and running a business but how about a podcast? I think you can do it!! Lol! I would love it if you had one! I find you very real and motivating! Happy New Year! A podcast is something that I’ve long wanted to do… but I’m waiting for some things to happen before I pursue it. Who knows? This might be the year things align so that it is a reality! Thank you so much for your encouragement! Love it! Good for you 🙂 ? I started back to school after 20 years (scary!) to finally get my degree in the fall. So, one of my goals is to continue school with the high grades I got my first semester. Pay off our debt. We have a plan in place. Finish the cross stitch I started for my sister. De clutter the upstairs of our house. That’s where I’m starting. I know I’ll add to it as time goes on. I can’t start with too much or I’ll just get overwhelmed. What great goals! Thank you for sharing! I LOVE these goals! I’m so inspired by them! Thank you for sharing! Thank you Crystal – I hope I achieve them all! I am so thankful for your inspiring post. It really helps me keep my head above water and stay focused. 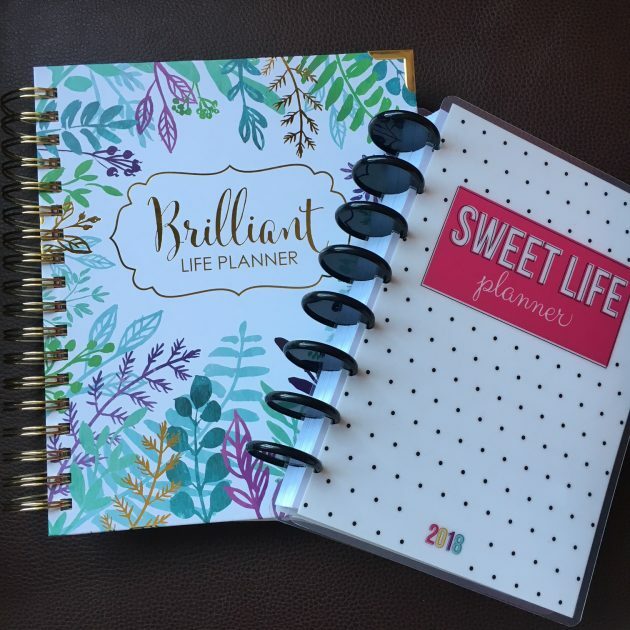 Is there anywhere I can buy this “Sweet life planner”? Wow! 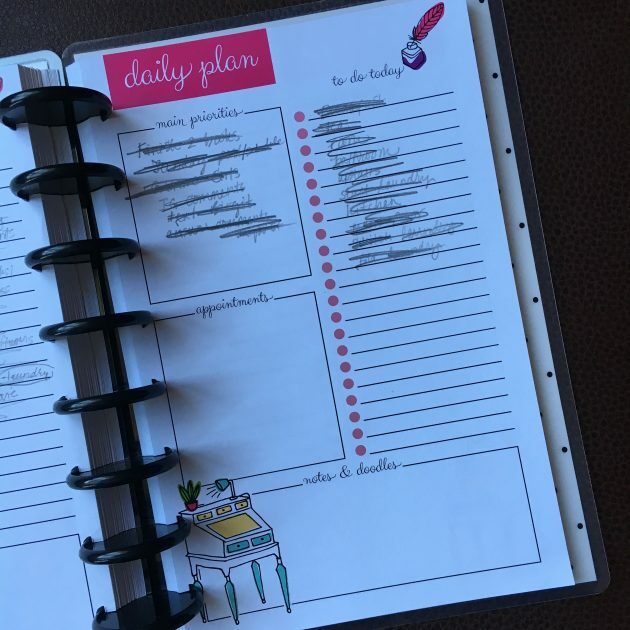 Doing mini goals is a really good idea! I usually do one big one and never accomplish it. This is so much more doable. In the past the three months, I’ve had my ninth baby and a surgery, so I have a lot to catch up on! Mini-goals is just what I need. Thanks for the inspiration. This year I want to make a lifestyle change and develop a healthier relationship with food. I’m starting an Instagram account to help keep me motivated in my weight loss and health journey. I’ve always been overweight and lave lost and slowly gained it back. My plan is to post every day to keep me accountable and on track. Very nervous since I’m very private and don’t post much on social media. I’m always so amazed at how many books you read! Maybe cause I’m a slow reader due to the fact that a book at bedtime makes me fall asleep!! ? Well done with your 2017 Goals! Those are BIG goals — I’m cheering for you! I seriously love your goal report. I enjoy seeing those that set goals reach them. Congratulations on all and best of luck in 2018. You will have to tell me how you sold all your rentals. We have our first home we need to sale in 2018. It’s just sitting empty and I get overwhelmed when I think about it. Well, we didn’t get as much $$ from them as we were hoping to, but we turned a good profit, so we’ll take it. We just put them on the market with a good realtor and made sure they were in great condition at a price that they would sell at. I appreciate your advice, and I do think we have the price too high!! We need to prayerfully consider just getting out of it what we “need” and praising God he put us where he did! My goal this month is to empty the attic and give it a good all over cleaning and list it with someone better than we previously had it and hope it sells in the spring. Congrats on your house! It must be so exciting! We just closed on our house a few days ago and we paid cash too! I was so excited! I love how you adjust your goals as needed Crystal. And congrats on the house! Crystal, it seems like when I try to read the Bible in a year, I always fail. Do you know of a shorter reading plan what would work for me? Thanks! I’m not crystal but I recommend reading through the New Testament and Psalms and proverbs in a year. I’ve been doing that one this year and it’s excellent! Your blog is really inspiring me to get my act together. It’s been a rather rough 2 years. My husband went through 15-months of unemployment, our church closed, our pool closed, and our local Sam’s Club closed! My husband did start a new job at the end of May, but took a HUGE salary pay-cut, which for a family of 5 has been a nightmare. He is actually starting a different job on Monday (Jan. 8th). I’m praying this is the place God intends him to be working at long-term. 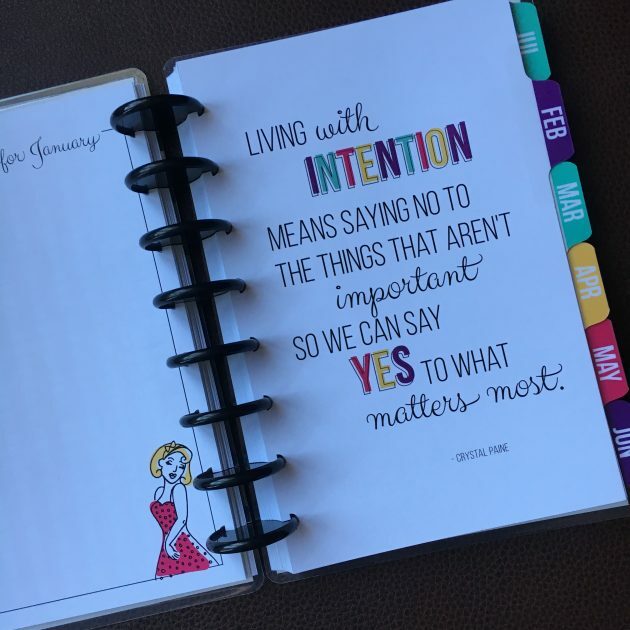 I’ve always struggled with sticking to my commitments – I think that has something to do with my ADHD, so it makes me nervous to set goals and then fail. However, it is good to have those set to strive for. I did read through the New Testament in 2017, well almost. I never got through all of Revelation! However, I do plan to finish that book of the Bible this year. I have read many of the Books in the Old Testament, but really want to read Psalms and Proverbs and study them. A lot of my goals though stem around building my blogging business. I have to get very intentional with maintaining a regular posting schedule. My biggest issue is coming up with quality content! I need to build up my blog to help my husband out financially too. I hate that everything falls on his shoulders. Plus, we are so far in debt from not only the unemployment but the underpaying job.